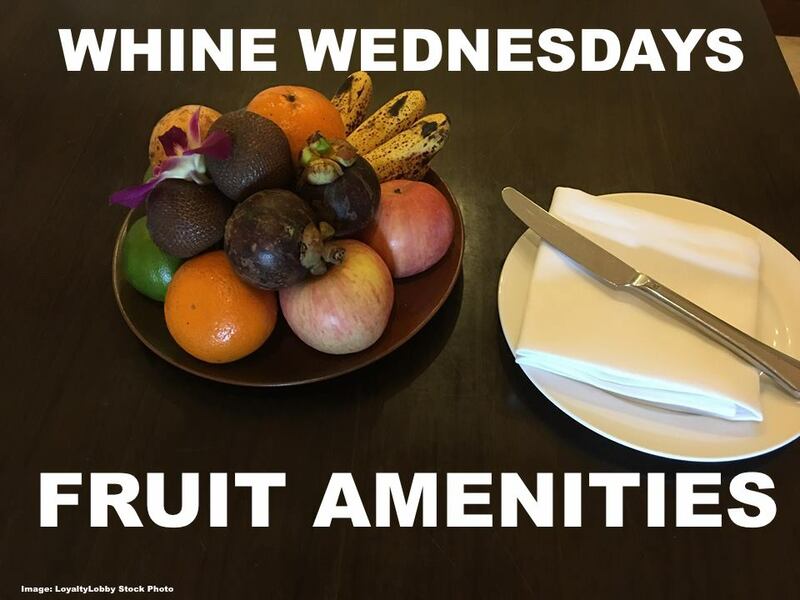 This weeks Whine Wednesday is about a hotel amenity that is well intended but can actually backfire if it stays in the room for too long: Fruit Plate Amenities! Especially in tropical environments fruit can be gone pretty quick and if hotels aren’t diligent enough to take leftover (or untouched) fruit out of the room it’s just a matter of time until the ants find it. Fruit Amenities are probably the most frequent item offered to guests across all hotels, especially those with elite membership of the respective hotel chain. 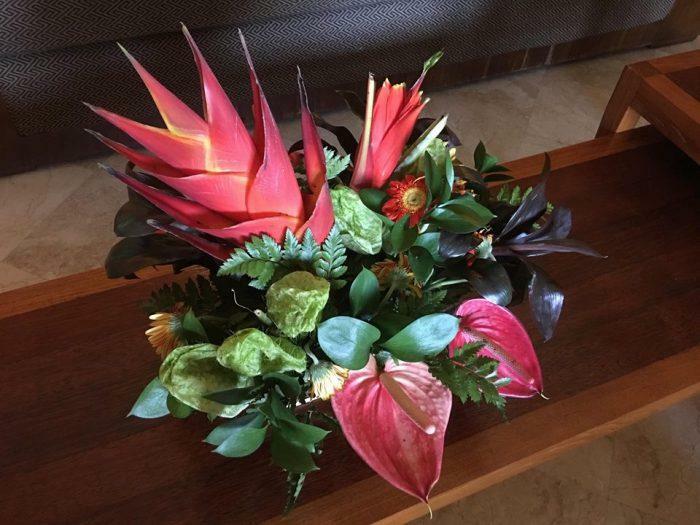 I got this plate with various fruit at the Grand Hyatt Bali this week (and in every other hotel I stayed I got one too). It’s nice of the hotel to do this but I don’t really eat fruit in the room for the reasons mentioned, especially if the hotel has a club lounge where fruit is pretty much available all day. In Bali there are ants everywhere and as soon as you leave food out they come to the room quickly. Bananas are usually the first that go and start exhibiting a sweet smell. After I had issues with that previously I asked them to please note in my profile to not send any more fruits even on future stays. Sure enough this time the fruit appeared again. I asked the Grand Club attendant to please have someone pick up the fruit plate as the bananas already smelled pretty strong. They did so quickly and actually exchanged it against a nice flower bouquet. This was nice of them because I didn’t actually say anything apart from asking to pick up the fruit. I think someone checked and noticed they didn’t actually read the notice on my profile. I wonder how many guests actually eat the fruit that the hotel places into the room. I always eat things like fresh strawberries and pears like hotels in Japan sometimes offer. Rarely do I ever eat one of the mini bananas, apples or rambutan as often available in amenities here in South East Asia. Hyatt has eliminated pretty much all amenities last year. Even Diamond guests that used to have a choice of 1000 points, a local gift or F&B amenity now get scrap. Not even a welcome card in many cases. I haven’t seen a bottle of wine from a Hyatt hotel in forever, even on confirmed suite bookings. This used to be standard just 2 years ago.